This gift set includes both Bible and Bible cover. The Bible cover is white cotton and measures 4 inches x 6.25 inches. 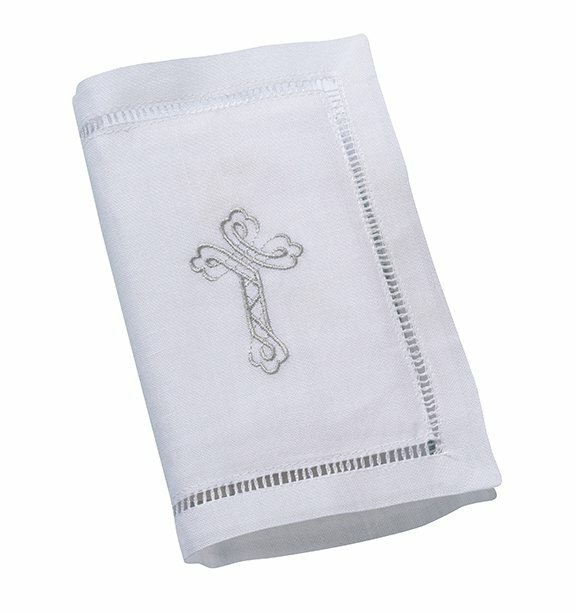 It is embroidered with an elegant cross. The Bible measures 4.5 inches x 2.75 inches and is written in English.